Powell’s Cove Park is billed as an “environmental waterfront park completed in 1999, … a bay with sizable wetlands and filled, undeveloped uplands.” The majority of the park consists of submerged marshlands. 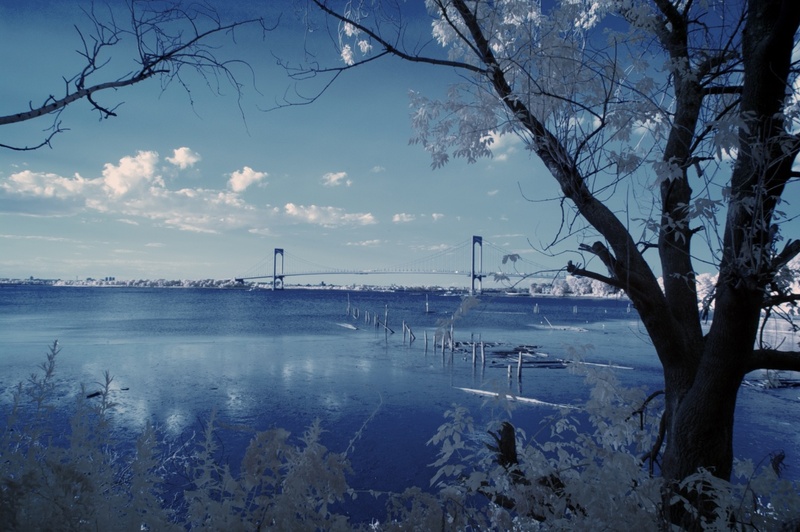 There is not much to it, but it has an awesome view of the Whitestone Bridge and the Bronx. This is true infrared taken with my converted Nikon D40, with the red and blue channels switched in Photoshop. Gorgeous composition and view Mark! The IR works very well here!